Dr. Samuel L. Siegler, II always appreciates feedback from his valued patients. To date, we’re thrilled to have collected 9 reviews with an average rating of 5 out of 5 stars. Please read what others are saying about Dr. Samuel Siegler, II below, and as always, we would love to collect your feedback. Always a thorough and friendly visit. 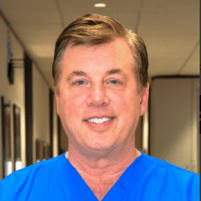 Dr. Siegler has been our doctor for over 10 years. I would definitely recommend him to anyone I know. He help save my husbands life. Thank you Dr. Siegler!! Great experience with Dr. Siegler. I finally found a Doctor that is caring and understanding. Two thumbs up!!! Dr. Seigler and his staff are just amazing. Down to earth. Honest and they really care. Love the Dr. And all the staff at the office are excellent.